The permit for the Spanish Revival home was pulled February 20, 1929. C.T.Hales planned a $5,500 home. Construction was completed by local builder, Fred Arterbury in 1930. This is unusual since the country was in the throes of the Great Depression. 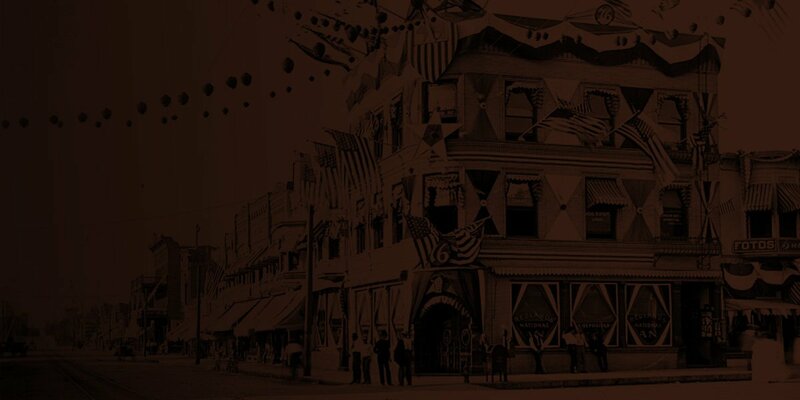 Few homes were built in Redlands during this time. James Inman connected to the city water in 1926 and was the first owner of the lot after Garret Huizing opened the upper Buena Vista Subdivision #3 to development. Two queen palms accent the canopy covered arched front window giving the home a distinctive appearance. The Spanish Revival style is apparent in the red-tiled roof, textured white plaster walls, wrought iron porch gates, and a Spanish iron cross above the arched front window. Care was taken to match the architecture with the carport addition. The separate garage is blended with the home and joined by an arched walkway. Roof drains are the pueblo style clay pipes found in clusters of three. The living room is accented with a beautiful Spanish style arched window. Wood floors are found throughout the original part of the home. Samuel B. Gardner was the owner in 1931. Gardner was honored in November of 1951 for 25 years of faithful service to the Redlands Federal Savings and Loan Association. His retirement dinner was held at the Wissahickon Inn and hosted by Lyman M. King, president of the association. His service was rewarded with a leather suitcase by the board of directors. In 1959, the pool was completed by M. E. Emerick for $3,000. Emerick also converted part of the garage as a laundry room in 1966. John H. Hayward completed the 6’ by 66 foot block wall in 1978. 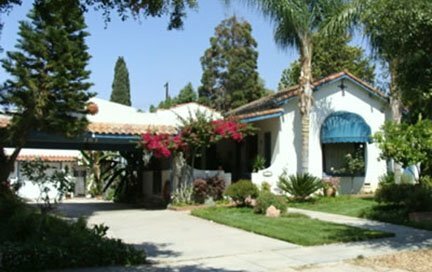 He also added the covered carport using Spanish Revival designs to match the home. Garret Huizing built most of the homes on Buena Vista employing the popular Spanish Revival style with plastered exteriors mimicking earlier adobe plaster. Jim and Barbara Garcia have done extensive work in the home and have shared their triumphs and tragedies with the Old House Group. Jim continues to tinker with the landscaping and is probably a frustrated landscape architect working for the gas company. It is indeed a pleasure to reward the preservation work completed by Jim and Barbara. Their home is yet another fine gem found on Buena Vista.